Click HERE to sign up and you will receive a confirmation email with more information. Has there been a time when circumstances were less than perfect and your confidence was shaken? If your answer is “yes”, you’ve come to the right place! In this Facebook Live Bible study, we’re going to explore how confidence-in-question keeps us from boldly experiencing what God intends for our lives. Together, we’ll dive into six stories in the Bible of not-so-well-known women who found themselves needing confidence to make their move, and how they uncovered the faith to get it. We’ll move forward to leave behind all the unnecessary insecurity this world induces and find confidence in God alone. Position yourself to not lose your poise—even in the worst circumstances. 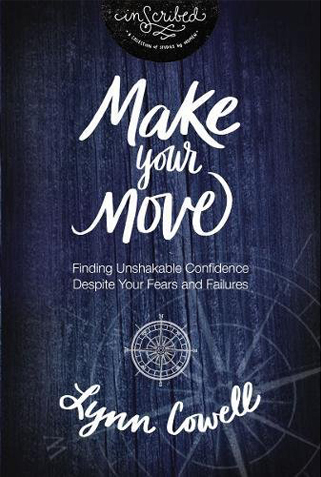 Identify and address the fears that keep you stuck, with practical steps to walk in your calling with confidence. This study is for any woman who’s ready to dig into God’s Word to find confidence and boldness to do great things! Then all you need to get started is your own copy of Make Your Move. Click here to purchase! 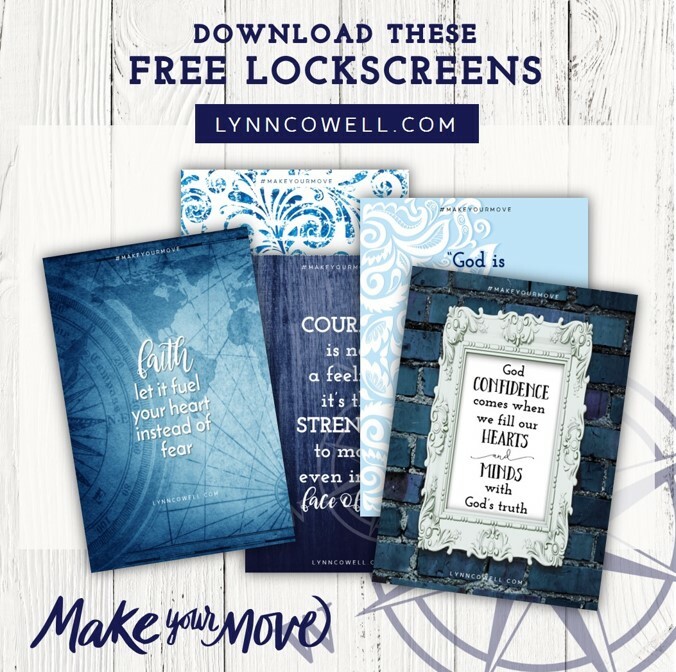 Click here to download these lockscreens!